The Professional Range of heavy duty slides manufactured from 6082 T6 aluminium and stainless bearings. Due to our standard manufacturing process of milling beams, we can supply these slides in virtually any aluminium requested. Particularly suited to military and airborne applications where the right choice of materials affects performance. This is a high quality, smooth, full extension slide with milled ball tracks for accuracy and a slight pre-load. There is a choice of surface finishes available. The bearings, cages and end stops are stainless steel 316L & 316, providing a corrosion resistant slide. The low weight ADTSB-50 slide has a loading of 161kg at 600mm. The slide is designed for full travel front and rear. This is facilitated by an internal rocker system which holds and releases beams in sequence. The first beam will extend fully and only at that point will the second beam be released. Strengthened by the mobile 'I' beam which allows a very compact design to be used on applications such as aircraft seating and bi-directional drawers where normally only a two-beam slide would fit. Supplied with a standard anodization. Please consult our engineers for other surface finishes available. To download the CAD files and specifications for this product you need to be logged in. Applications can range from slide based storage systems, lockers and furniture, through rack mounted electronic components, and onto operational and weapon systems requiring linear movement. If required products manufactured from high grade stainless steel can be supplied offering highest levels of corrosion resistance and low magnetic signatures. Slides and bespoke sub-assemblies for mounting electronic and other equipment including weapon components on vehicles ranging from lightly armoured personnel vehicles (radio and other electronic components) through to battlefield tanks (internal storage, ammunition handling, slide-out generators and workstations). Solid section steel slides lengths from 300mm to 2,000mm for pull-out equipment drawers. Extensions from 50% to 150% of closed length can be supplied, in addition slide systems that offer sequential dual extension with bi-directional travel allowing the drawer to extened from either side of the vehicle. This enables rescue crews to access vital equipment quickly and safely, regardless of the vehicle's orientation to the emergency scene. 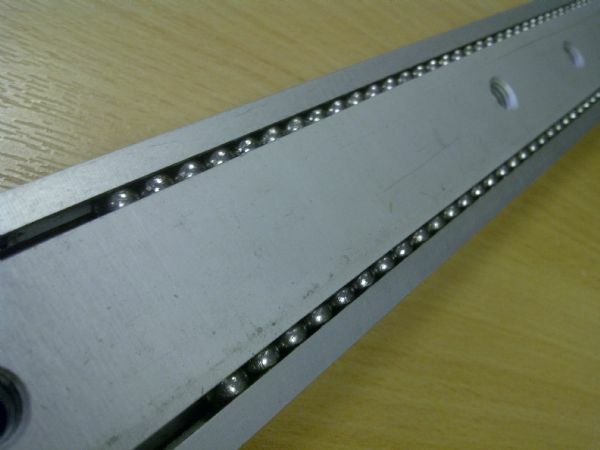 Our range of reinforced heavy duty steel slides fitted with additional ball tracks and reinforceing ball bearings are ideally suited for use in some of the more unique applications. Together with a range of slides designed using a rigid "I" beam construction our products offer execelent performance under conditions that may exert high direct and tortional loadings as experienced in such applications as pull-out equipment boards and vertical shelves. Following extensive testing on selected models our slides are used by the U.K.'s leading producers of complete equipment carriers. 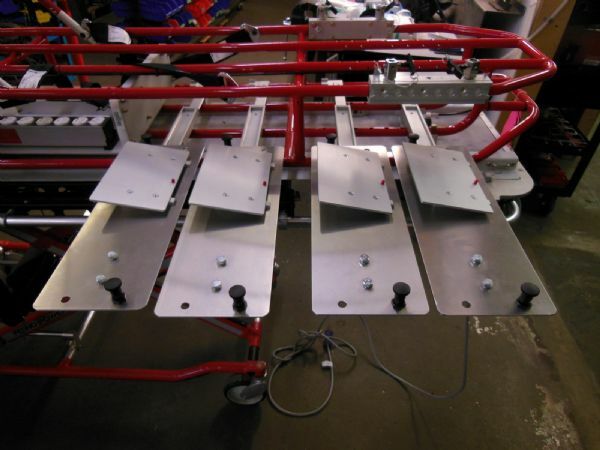 These complete tray systems are ready for quick installation, including bespoke mountings for specialist equipment such as auxilliary pumps, tools, hoses and rescue equipment. Lock-in and lock-out mechanisms facilitate quick and safe operation of the equipment carrier, as well as hold the fully-loaded drawer securely in position when the vehicle is in motion or at the scene. Whether you have a full side trailer extension to build or a small pull out coffee machine tray from the back of a Vespa Ape, we have the right slide for you. From specialised mobile military deployment catering units to market trader applications, we have the knowledge to make it happen. We are a privately-owned company, established over 30 years and our slides and tool mounts cover every possible application within the catering and hospitality industry. Our speciality are bespoke telescopic slides suited to catering trailers and full van conversions. 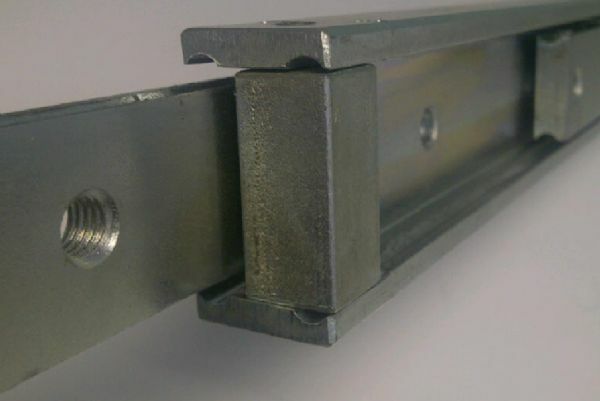 If you require a light load slide we suggest using our standard rolled steel slides covered in this section, for larger full vehicle conversions up to 2000kg we recommend our cold drawn steel section I beam heavy duty slides. 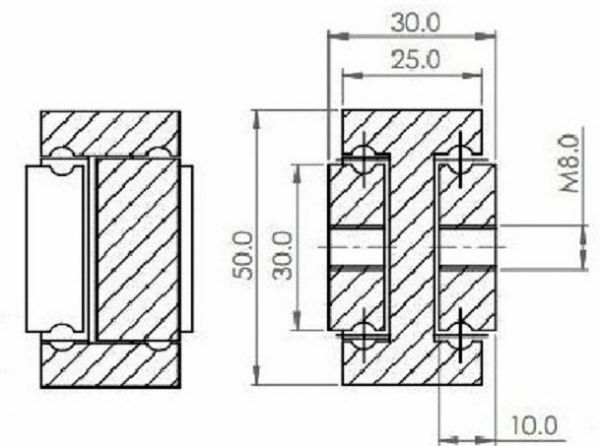 The rigidity and strength of the material used in the manufacture, without use of plastic components, make the slides appropriate for heavy duty usage which demand resistance to shock and vibration. In addition to telescopic slides project we supply auxiliary equipment to fix pipes or other tools. Our Fulterer range of slides comply with NSF food grade specifications to allow for installation of our drawer slide in direct contact with food. Linear movement components and telescopic slides for use on repetition-intensive automated production lines. Components require a high resistance to localised wear patterns, uniform operating loads and designs capable of working at fast speeds with high accelerations. Linear rail and telescopic slide products for component delivery and handling at line-sideassembly stations. The breadth of our product range gives you an unparalleled advantage when engineering solutions for delivery systems that have to accommodate large irregular shaped components or sub assemblies within space restricted line-side delivery stillages. Correct selection and specification of the slide system will ensure maximisation of the space inside the delivery stillage and production efficiency while accommodating the natural variations of manual handling present in a time sensitive assembly environment. Our telescopic slides and tool mounts cover even the most demanding project for commercial vehicles. Smaller, lighter duty rolled steel or solid section slides from our General Devices range will suit a keyboard tray or a display screen, whereas cold drawn steel section slides will fit requirements for full vehicle extension such as mobile broadcast vehicles carrying several 1000kg’s. With over 30 years of experience, we are more experienced than any other supplier and manufacturer to be able to advise of suitable and performing products. Sliding Systems are an approved supplier for many prestigious and well-regarded manufacturers both in the United Kingdom and abroad. With our flexible production facilities, we can accommodate any project and are pleased to assist with special requests whenever possible. Applications involving shock and vibration call for heavy duty, cold drawn steel section slides which we are also able to supply in 316L marine grade stainless steel. If weight or corrosion resistance are parameters that are important we suggest Aluminium T6 section slides, available in load capacities up to 330kg. Outdoor applications can be fixed in place with specialist marine grade 316L hooks, which safely hold tool boxes or vehicle covers in place. Roadside assistance and other categories of vehicle that need to stow and provide easy access to equipment can be enhanced through appropriate use of telescopic drawer slide and linear rail systems. The twin requirements of operator safety and operational effectiveness are of paramount importance. GSF's ability to select and adapt from an unrivalled base product range, and its ability to assist with the design of bespoke and space-saving drawer systems enable us to make a significant contribution to your own product design. The need for storage is not confined to land structures, every seaworthy structure requires a multitude of pull outs or heavy-duty generator tray. We can offer the widest range of stainless steel 316L telescopic slides and non- corrosive tool mounts. For interior fittings we suggest 304 stainless steel slides, larger heavy-duty applications are covered with our specialist bottom mount General Devices D1050/D1054 slide. The latter allows the user to look a generator tray in the opened and closed position. Bottom mount slides are useful for applications where space is limited thus a traditional drawer slide installation is not suitable. The poxy coating offers some corrosion resistance but achieve full corrosion resistance, we suggest stainless steel 316L which can be supplied upon customer request. Our full professional range DTS is now available in marine grade stainless steel 316L which includes the end stops and ball cages. With low profiles starting from 40mm up to profile height and lengths up to 2000mm we are confident to be able to supply a complete range. 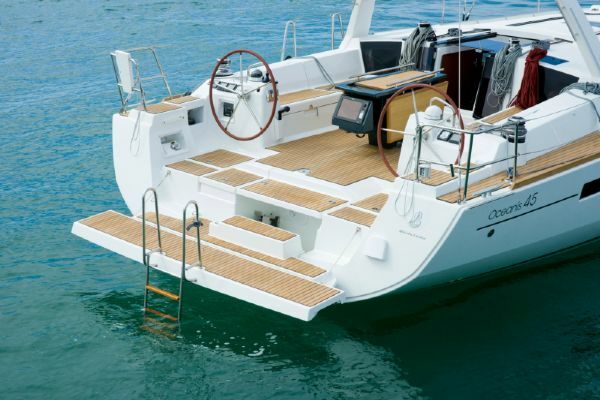 As a distributor of the prestigious yacht and boating equipment manufacturer Viadana SRL, we are also able to support your yachting project with their full chandlery range. Sliding Systems engineers have the experience to guide you through the selection process of choosing the right telescopic slide, linear rail or tilting drawer system. 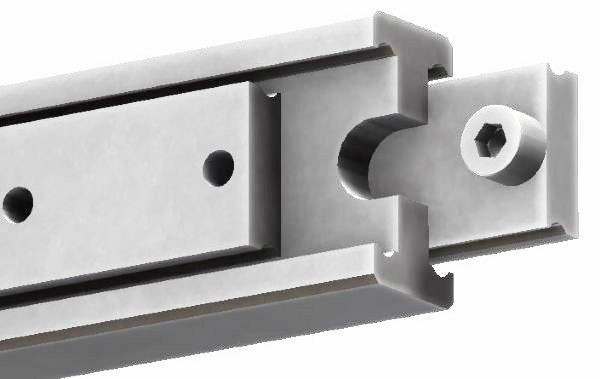 We have the widest selection of telescopic and drawer slides available, anywhere, from a few kilos to well over 2,000kg across multiple ranges specifically designed to anticipate almost every demand.